Japan has deployed robots to work in Tokyo subway stations to help tourists in preparation for the 2020 Olympic Games. 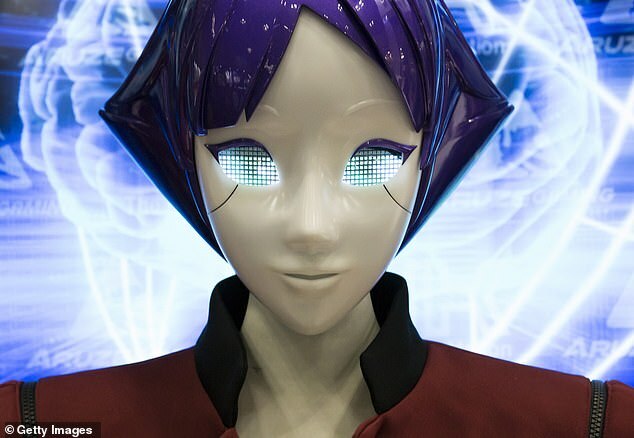 The six-foot robot named Arisa, created by the Tokyo Metropolitan Government, will give subway travellers directions and show them the way to the restrooms. Tokyo is facing an influx of millions of spectators for the forthcoming international event which they will host for the second time in history, after 1964. An ageing population and low birth rate has resulted in a national labour shortage, prompting the need for multilingual Arisa to guide the swarm of foreign tourists. 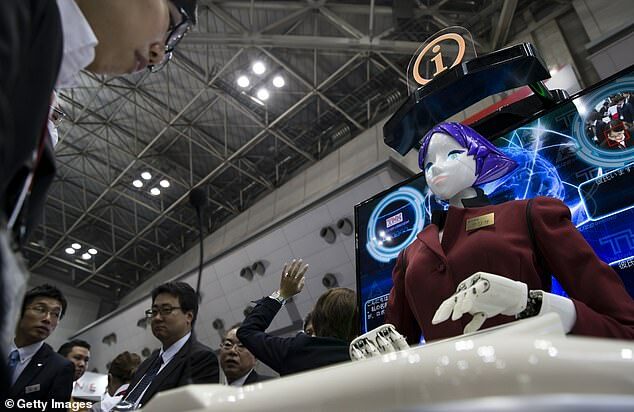 The wide-eyed, next generation robot is accompanied with a touch screen monitor and can speak Japanese, English, Chinese and Korean. Not only can she tell visitors about the local tourist attractions and how to change trains, but she isn’t camera shy and will pose for photos if asked. Arisa, who was developed by Japanese tech company Aruze Gaming and Chicago-based THK, has already impressed residents with her ‘quick and easy’ interface. Tokyo resident Kyosuke Tanaka, 25, came across Arisa on his way to work, and says he was impressed. Mr Tanaka, director of the youth sports organisation Japan Sports Hub, believes Arisa will fill a key role during the 2020 Games. ‘The robot is a next generation robot that responds more smoothly and quickly than I imagined. The user interface is especially great,’ he told US News. Arisa has completed two test runs at the Ueno-Okachimachi and Tochomae subway stops at the end of last year. Tokyo is facing an influx of millions of spectators for the forthcoming games which they will host for the second time in its history, after 1964. Arisa, a project by the Tokyo Metropolitan Government, that will show subway travellers the way to the restrooms and give directions. The wide-eyed, next generation robot can speak Japanese, English, Chinese and Korean. She is also accompanied by a touch-screen monitor. She has completed two test runs at the Ueno-Okachimachi and Tochomae subway stops at the end of last year. Officials say that they are preparing for a second trial at other five stations in February to streamline service amid the throngs of visitors. 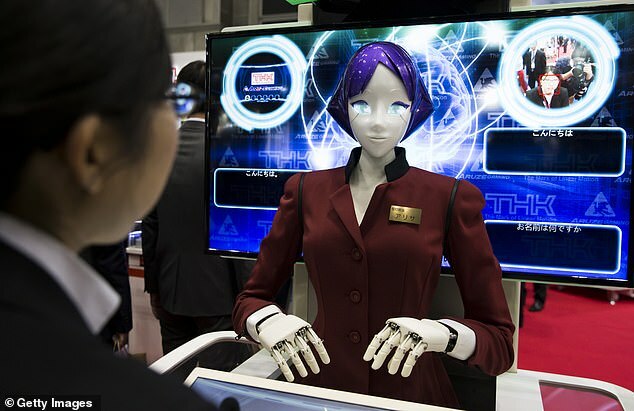 According to Takayuki Saito at the Tokyo Metropolitan Government Bureau of General Affairs, the city will continue to study how robots like Arisa could be used in the future to enhance operations at various locations across the subway. Since most Olympic volunteers are not familiar enough with the city layout and subway system to effectively help visitors, Arisa’s artificial intelligence will fill in the gaps to offer seamless support.